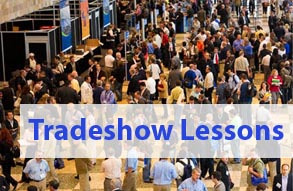 I recently attended a large tradeshow in the building materials space and wrote an article for a popular national trade magazine, Building Products Digest (Pages 30 and 31). I’d like to share it with my blog followers because I think that it is relevant beyond the show and that the concerns, which I heard from many CEOs, cut across many industries. I most often heard these two questions: 1.) Is our company capable of adding enough new growth to meet corporate objectives? and 2.) Can our current sales staff grow and keep pace with the changing demands of the market? I spoke with a company founder who was genuinely concerned that while their business was growing, so was the market in his space. He had a sinking feeling that they weren’t able to take business from the competition without lowering their price. Yes, all boats were lifted by the new tide, but he admitted that is ultimately not a success formula. Outside of that common refrain, there were five great questions which came up that are worth sharing with all of you who will be impacted by your level of growth in 2013. One: How do we know whether the improvement in the sales force is fantasy or reality? Yes, sales are up. But are sales up due to organic growth caused by better selling skills, stronger prospecting, perfect positioning statements, insightful problem-solving and needs analysis, thorough qualifying, well-timed proposals, and excellent closing skills? If you aren’t certain you know, then you might be along for the ride, and maybe even being taken for a ride. Maybe it’s time for a sales force evaluation. Two: How do we take business from the competition without lowering the price? This is the true test of our ability to stand apart from the competition. To have the customer pay more attention to us than anyone else requires an ability to have a conversation that is more than just ‘what do you need’ and ‘how much is your budget.’ To gain the full attention of your customer above all of the competition, one must have a business discussion where you drill down and find a hidden or indirect problem that your product will solve. To give one example, you could think about the price of, say, your decking vs. the lower price of the other guy’s decking. We’re all probably good at calculating the cost of the other guy’s decking problems and tacking it onto his price. But who is the person that is dealing with those problems at your customer’s company? What is that person’s regular job? And what is he or she not doing when distracted by and dealing with those problems? And how important is that job that he is she is supposed to be doing? And what is that costing you? Now you are onto a different discussion and that will help you stand out from the crowd. And now your higher price is less important. Three: How can we fend off a full court press from the competition on our existing accounts without meeting their price? This is an account management problem. Having long-standing accounts can lead to complacency. If you are like most building material sales people, you have hundreds of potential customers in your territory but perhaps ten of them account for the majority of your business. Have you ever seen a basketball team up by 30 points and go on to lose the game? The Celtics lost to the Knicks that way in one game which I watched way back in 1986. You could see the meltdown happening to the Celtics and if you were a fan as I am, it put a pit in your stomach. They stopped having fun. They stopped taking chances. They stopped playing to win and starting playing not to lose. Don’t do that with your customers. Once a quarter, act like you’re competing for their business all over again. It is also incumbent on sales management to motivate the staff and hold them accountable to the goals of the organization. Click here to see the top ten sales management functions. Four: Can all of our sales people leverage their relationships with existing customers to sell our entire product line? The answer is that some can do that, but most cannot. The follow-up question is can those who cannot do that, learn to do it? Are there hidden issues causing them to get in their own way? Is the little voice in their head (let’s call it head trash) telling them that their customer needs to diversify, that we can’t be all things to all people, and that we’re good at some things and not others. Or is there another excuse you’re hearing? If your products are the right products for the market, then lack of selling skills might be standing in the way of growing sales within your current base of customers. Take this handy questionnaire to see if a sales force evaluation might help you. Five: What are we getting out of this show? That’s a great question. Some are getting lot out of it; others see little result. The difference was often found in the mindset of the staff and their understanding as to why they were there. If the purpose was merely to be visible and show support for the industry, then there was commonly disappointment. When people with whom I spoke were actively looking for new qualified opportunities, they had a different experience. Without an active, thoughtful show strategy, the default of using it as “visibility” results in the opposite effect. My colleague, Frank Belzer, calls it the Denial = Visibility Model. The denial comes from the preconceived notion that you cannot really sell at the show. But you can, quite successfully, which I will cover in a future article. Speaking of Frank, check out his new book, Sales Shift: How inbound marketing has turned sales upside down making it more difficult and more lucrative at the same time.